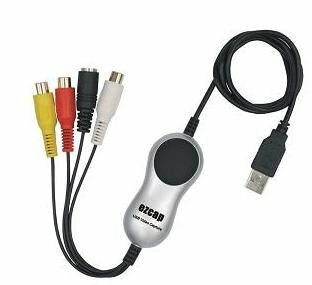 – Supports high quality video resolution: NTSC: 720 x 480 @ 30fps;PAL: 720 x 576 @ 25fps;Real time MPEG 1/2 format; Supports NTSC, PAL Video format;Video input: One RCA composite, One S-Video; Audio input : Stereo audio (RCA) * Enclosed the professional video editing software ArcSoft ShowBiz DVD 2. It provides best editing function for you. With it, you can make your family album and your own movies at ease. – Enclosed the professional video editing software ArcSoft ShowBiz DVD 2. It provides best editing function for you. With it, you can make your family album and your own movies at ease. Buy directly from ClimaxDigital and get ***FREE Composite AV cable*** **IMPORTANT**: Be aware of those faked products.